Monarchs of Europe. London, Rowley & Co, n.d. (c. 1774-1776). 52/52 playing cards. Etching in four colours. This is the first non-standard deck in the United Kingdom. The suits of this pack are completely different to all other cardmakers of this period. The suit signs are ‚red chalice‘, with a heart in the chalice, a ‚black pike head‘, an ‚orange topaz‘, cut in a diamond shape and a green clover leaf. 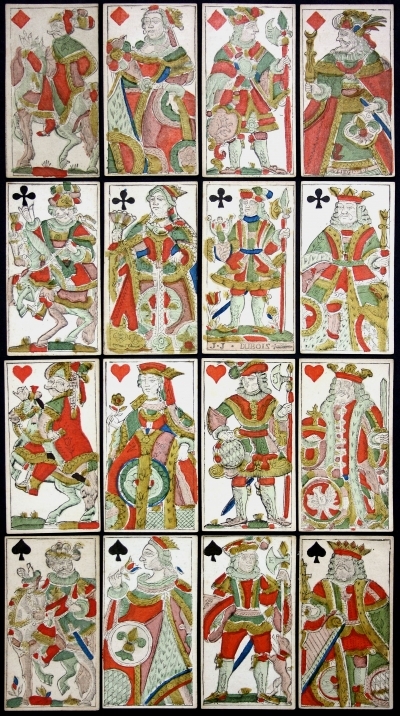 The court cards represent the kings and queens of England, France, Spain and Portugal with court body-guards as Jacks . 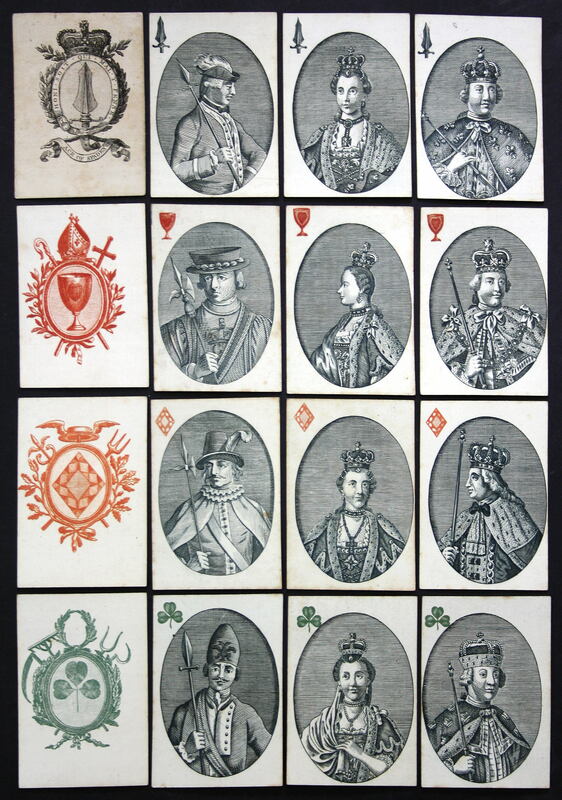 The Aces of chalices, topazes, and clover are in oval cartouches decorated with a mitre, crozier and croos, a winged hat, caduseus and trident, a wreath and farm tools. The ace of spades bears the official design. 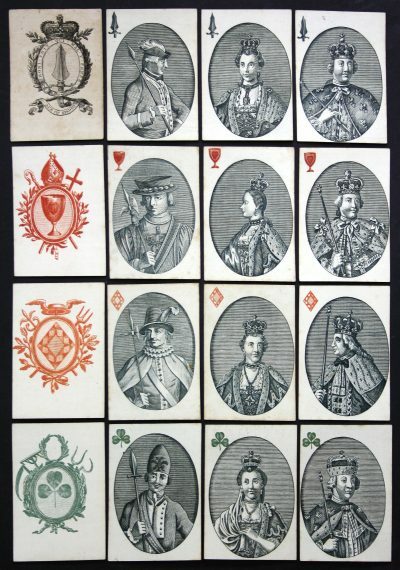 The ace of spades of the English pattern bore no other printed decoration than the plain pip until 1765, when it was printed by the tax office with a design showing that tax had been paid.